During the first generation of private, jet-age flight, two of the 20th century’s biggest pop culture stars boarded personal aircraft equipped with GE engines. Both Frank Sinatra and Elvis Presley were AvGeeks and trailblazers for the private jet age. In 1964, Sinatra became the proud owner of one of the early Learjets – serial No. 31. Equipped with two GE CJ610-4 engines, the little Lear 23 was the top performing private jet on the market at the time. It had a cruising speed of 518 mph and could allegedly outclimb an F-86. Elvis Presley’s Convair 880 still resides at his Graceland home in Memphis and is available for tours. Not surprisingly, Elvis also soon started acquiring private jets. Presley’s line eventually included Hound Dog II, a Lockheed JetStar, as well as an Arrow Jet Commander, a Dessault-Falcon, a Fairchild F-27 and a Gulfstream G-1. However, Elvis’ prized possession was the Lisa Marie. Named after his daughter, Elvis bought a Convair 880 from Delta Airlines in the spring of 1975 for $200,000. To put size in perspective, Sinatra’s Lear was certified for six passengers. Elvis’ Convair was originally certified for 110. Elvis spent more than $600,000 to customize the Convair 880. Powered by four General Electric CJ-805-3 engines, Elvis had big plans for his turbo jet. He started by spending more than $600,000 to customize it. He wanted a conference room finished in teak, a private bedroom with a queen-size bed, an executive bathroom with gold faucets, four TVs and a stereo system with 52 speakers. The additions cut the passenger capacity down to 29. The conversion took eight months and the aircraft was finally delivered to Memphis on Nov. 10, 1975. Elvis used the Lisa Marie to travel the country up until his death in 1977. Before he died, Elvis had intentions to take the Convair overseas to England and Japan. The Convair’s last trip was to pick up ex-wife Priscilla Presley, Lisa Marie and actor George Hamilton for Elvis’ funeral in Memphis. 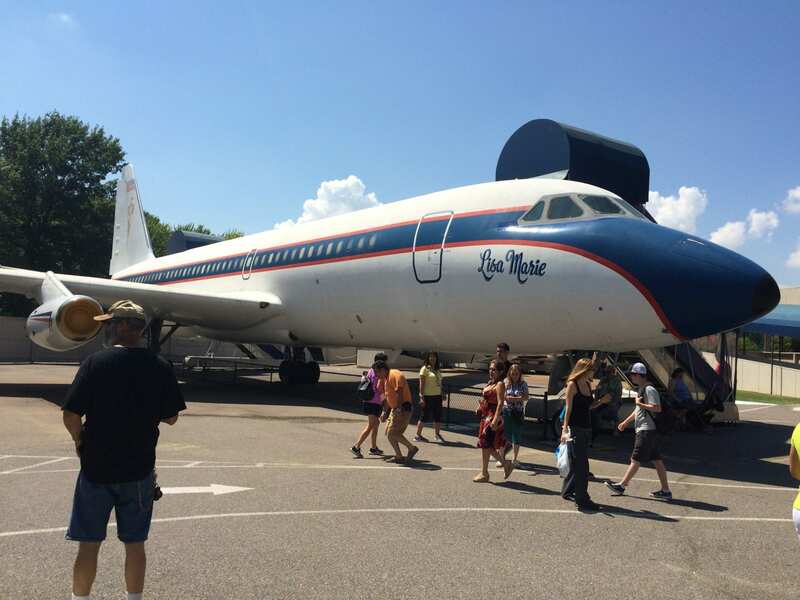 Today, the Convair is a permanent fixture at Elvis’ home in Graceland. Of the 65 Convair 880’s built, only nine exist. The Lisa Marie is currently the only properly -preserved example left. Sinatra’s Lear Jet 23 was nearly forgotten and was close to being recycled for scrapped. It changed possession in 2005 and owner Ronnie Powers discovered its historic value after a records search. According to the latest figures, there are at least 10 Learjet 23’s and 814 GE CJ610’s in operation. The GE CJ610 engines have logged more than 17.2 million hours of service.